From my studio I produce etchings and aquatint prints. My prize possession is a secondhand Hunter Penrose Printing Press called Little John No.8. I work with copper pates and create prints on beautiful printmaking paper through an alchemy of processes that always seem remarkable and magical. Intaglio means to cut - incise. I am drawn to intaglio printmaking not because of the multiple prints achievable as editions but because of its quality mark-making, creative potential and the engaging physical processes needed to reach the desired image. 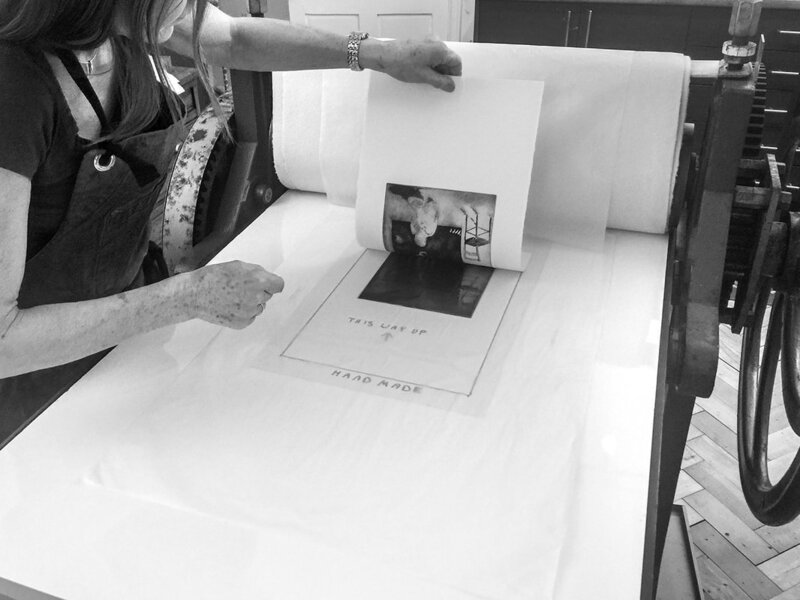 The copper plate endures a punishing and brutal journey to enable it to print an image. It is heated, waxed, smoked, incised with tools, bitten in acid and rolled through heavy rollers on the press. After the first print is pulled from the inked plate (on the printing press) the image will need various adjustments. The plate may be scraped and burnished in parts and the whole process repeated, occasionally several times. 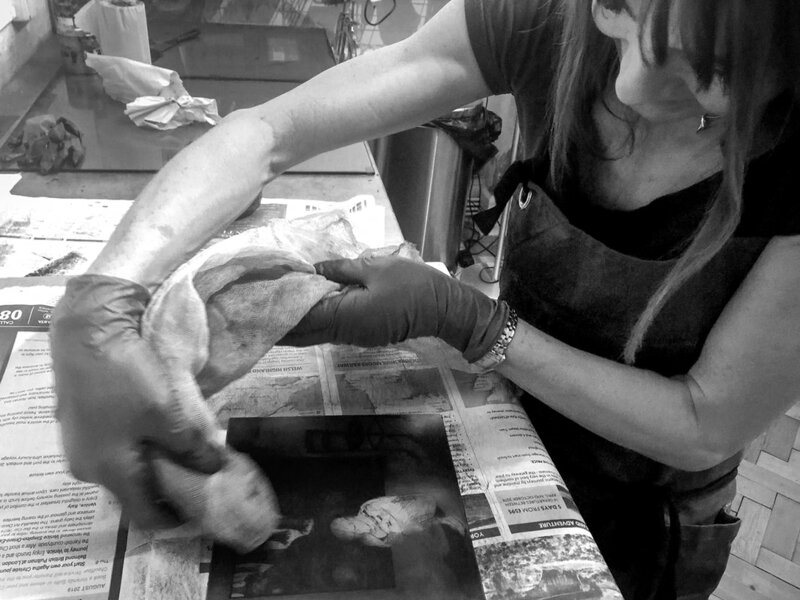 Usually the image will need tone so the plate is dusted with rosin in a special aquatint box then heated and bitten in acid many times to produce an aquatint. Finally after the plate has been manipulated countless times and numerous proofs pulled from the inked plate on the press, the desired print is reached. Through my work I explore the complex connections between us and the natural world. The visual language I use in my etchings help me make sense of the world we live in by describing subjects of nature in both contemporary realism and abstract sensibilities. I am interested in topics that hold complex environmental issues that touch our lives and values which I reduce to simple descriptions which convey a subtle message, metaphor or narrative. My inspirations are not always obvious and the message may only be understood through the title or ambiguous descriptions within the work. I communicate through the complexities of pattern in nature. For example, the fur of an endangered species, the complex patterning of a starling murmuration or the shifting patterns of land and sea in a series of maps. Within the execution of the work, I am absorbed in the repetitive rhythm of mark-making and the numerous processes of printmaking that encompasses both formal and spontaneous enquiry. The end result is always mystifying. A magical process of transformation and creation. Pure Alchemy.